Tim Czech has been a member of the IPM family for virtually his entire career. At age 20, he started at IPM as an intern before graduating from the University of Illinois at Urbana-Champaign with a BA in accounting. He earned his CPA shortly after graduation. Since then, Tim has had hands-on involvement with every financial role at IPM, from accounting manager to Chief Financial Officer, a role he assumed in 2015. 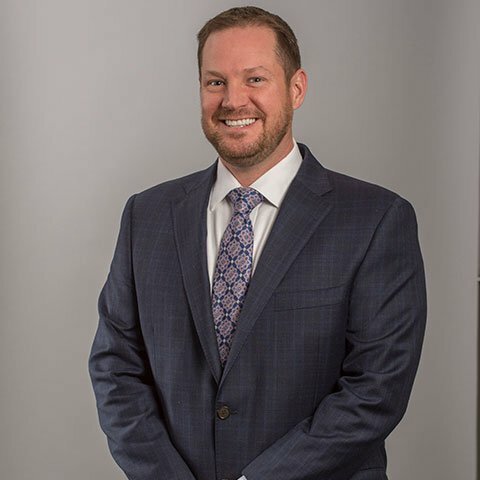 He also oversees all administrative aspects of the firm: Human Resources, Information Technology, Legal, and Creative Communication Services groups. He was instrumental in the development of IPM’s key performance index and financial systems, encouraged a focus to IT security, and has been responsible for establishing the strategic direction for HR. Under his supervision, IPM has grown from 117 employees to its current more than 180. Since 2014, Tim has represented IPM as a member of the Board of Directors of the Better Business Bureau of Chicago and Northern Illinois. Tim’s passion is his family. He is actively involved in the lives of his two school-aged children, and volunteers as the assistant coach of his son’s basketball team. An avid outdoorsman, he enjoys a variety of activities, especially fishing; his favorite fishing spot is Northern Wisconsin, where he has competed in many professional muskie fishing tournaments. Other hobbies include woodworking, gardening, and photography. I was born on the south side of Chicago and lived in Palos Heights my entire childhood. My Mom still lives in the same house where I grew up. We are and always have been a family of tradition, celebrating our Polish heritage at every holiday and holding “family” as sacred. We had to be a close family considering there were seven of us in a modest three bedroom, one bath, unairconditioned ranch house. I have two older and two younger siblings, leaving me smack dab in the middle. I learned my outstanding fashion sense at an early age, as I was typically dressed in hand-me-downs, which I joyfully passed along to my younger sister and brother. I quickly learned how to prioritize—coordinating seven people showering in one bathroom every morning was a challenge. Sharing a bedroom with first my older and then my younger brother created close relationships I greatly value to this day. My family provided built-in friends, and we would spend hours playing together, especially outside. Every year, the Czechs would take road trips to Northern Wisconsin and Lake of the Ozarks in Missouri. We would swim, tube, hike, and I found my love of fishing. I would fish every day with my Grandpa, which built my affinity for what is (still, by far) my favorite hobby and emphasized the importance of loving, caring relationships. My parents taught me that a strong work ethic is necessary to succeed, and so at nine-years-old I started my first job delivering papers on my bicycle. Throughout high school I worked as a bagger at a grocery store, roofer, construction laborer, and in a steel plant. All these experiences reinforced my commitment to work hard and respect everyone, as every position is unique and challenging. I attended Marist High School, then an all-boys Catholic high school, which further engrained the importance of respect, discipline, and living up to your word. After being introduced to accounting, I immediately knew I was destined to become a CPA. College was an easy decision, as my Dad offered to contribute financial support if I attended a state school; that was the University of Illinois at Champaign-Urbana. U of I’s outstanding accounting program made it a win-win. I worked at the dorm cafeteria throughout my college career to help fund my education and for the free food that came with being an employee. I continued working in construction during the summers until my junior year, when I secured an accounting internship at Integrated Project Management. I was immediately impressed by the company’s values and quality people, and greatly appreciated IPM’s trust in giving an intern the “real” responsibility of programming the ERP system to auto-generate financial statements. December 1996 changed my life forever, as I met the love of my life, Tracy. We were inseparable; though my grades probably suffered, it was worth it as we established such a deep, caring, loving, and trusting relationship. I graduated from U of I in 1997 and was blessed to have a full-time position at IPM. I was scheduled to start work when I received another job offer for 15 percent more money. I was ready to rescind my acceptance to IPM when my Dad gave me some of the best advice of my life. He said, “Tim, your word is your bond and you gave IPM your word and you cannot go back on it. They took a chance on you when no one else would, so I am not going to allow you to mess up the start of your professional career. You will start at IPM and work there for a minimum of two years.” I agreed, convinced that it was not about more money but my values. I consider that the best professional decision of my life. As of this writing, I have been employed by IPM for over 20 years and seen the company more than triple in headcount, and grow revenue and profits exponentially. I am truly blessed to have found an organization with Fundamental Values so clearly aligned with mine. I currently have the pleasure of being IPM’s CFO with ultimate responsibility for most back-office functions including IT, HR, Communication and Creative Services, and Finance. Tracy and I were married in 2002. We enjoy taking cruises, bike rides, camping, hiking, gardening, and playing board games. Our lives changed again in 2006 and 2008 when we welcomed our son, Ethan, and daughter, Estella, into the world. It is amazing how having children rearranges your priorities. Today, my focus is on spending as much time with my family as possible. I love taking my family to Wisconsin and Missouri to fish and explore like I did as a child. We will typically take a long road trip every year to anywhere out of the ordinary; we like to say we can find an adventure anywhere. I also have the joy of coaching my son’s basketball and daughter’s soccer teams. These are moments that I treasure. Dedication, tradition, loyalty, caring, living up to your word, and supporting your family—these values of my upbringing are critically important in how I lead my personal and professional lives. I appreciate that my parents instilled these values in me, and Tracy and I try to do the same for our children. We continue our Polish holiday traditions, as I believe you should never forget where you came from.